Lara's Loose Threads: A finish! I finished the stitching on this AGES ago, but put off the final finishing for a while since it seemed a bit involved (which it was). It was in a kit that I got in this grab bag (errrr, box) back in 2008. 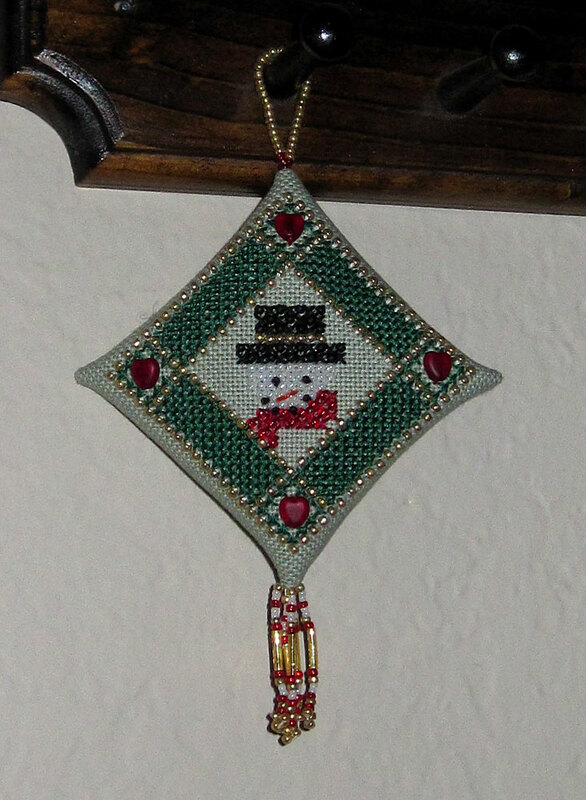 The kit originally came with white fabric, but I substituted in a scrap of light green so the white beads of the snowman would stand out better.